There seems to be an insatiable thirst for firearms in the United States. Some statistics show that there are over 350 million guns in the country. In the last 16 years, firearms have killed more than half a million people and many more have been injured. 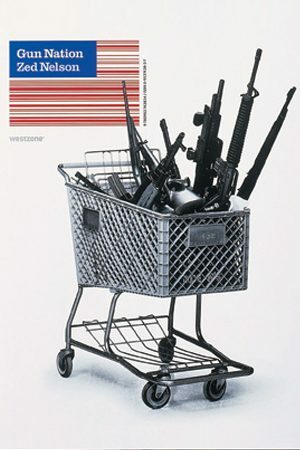 In the year 2000, Zed Nelson published a photography book called Gun Nation, which shared photographs of regular Americans, posing with their firearms. In this film he returns to the people he met back then and photographs them again, trying to find answers to why people are still obsessed with guns. There is a fierce resistance to even the most moderate gun control laws. Some say that it’s a ridiculous idea to take guns away from law-abiding citizens when the thugs are heavily armed. And so it is that good church-going people believe in their right to carry firearms. As one man put it, ‘a bible in one hand and a gun in the other.’ One woman estimates that about two thirds of the members of her congregation have gun permits and her husband is convinced that almost everybody in his neighborhood has a gun at home. They are not trying to hurt anybody— they are just protecting themselves and that might mean that each adult and each child needs to be armed. However, some people are quick to note that most shootings take place in domestic situations and tend to happen at the hands of these so-called ‘law-abiding citizens’. A considerable number of people who end up killing somebody acted by mistake, in anger, or by accident. Others argue that the reason that happens is because some gun owners do not take precautions seriously, but regulation won’t solve that problem. What’s ironic is the fact that some people are willing to die for the right to keep their guns. One woman stated that her guns would not be taken from her without a fight and not while she’s alive. Mass shootings in the United States have now become commonplace, particularly at schools. It’s interesting that the only solution some seem to find is to train teachers on how to carry and use a weapon. Is this safe, though? Do you really want your child’s teacher to be armed in the classroom? The debate about whether there’s a need for stronger regulations and laws about guns might never end, but it’s every citizen’s duty to at least listen to both sides. Watch this thought-provoking documentary now. The city of Rio de Janeiro in Brazil has over 1,000 poor neighborhoods that are infested by drugs and violence. These places are like small cities and they are called favelas.